I love Christmas and I really love Christmas Countdowns. Mostly because I never know what day it is and it’s the best way I’ve found to make sure I know when to let the holiday panic set it. You don’t want to panic too early haha. 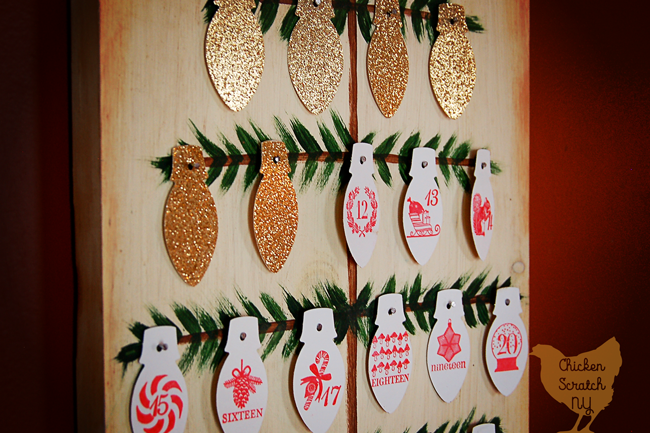 Almost all of the DIY Christmas Countdown projects I’ve seen require buying 25 of something. I don’t know about you, but I’ve got enough stuff in my house! 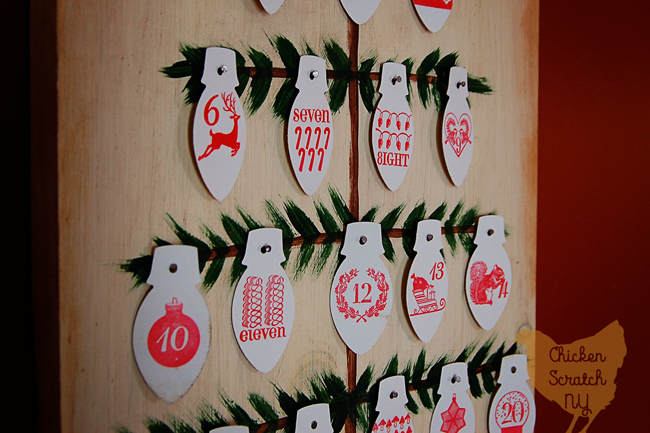 This tree count down is a step up from the basic paper chain, and while it can be a tiny bit tedious if you’re a perfectionist it’s easy enough to throw together. The downside to this project is I originally thought of it in 2014, made it in 2015 and got around to posting it in 2016. So… the light bulb punch that I used is no longer available and neither are the stamps. I still think this is a really cool idea and I have several ideas to work around the lack of supplies so have no fear! 6. Use the pencil to mark lines for the branches and mark spots for the nails. There will be 2 nails on the top followed by 3, 4 5, 6 and 5. What a cute and creative idea. It has been a couple years since we have done a Christmas count down. I think I already have almost everything I need to make this. 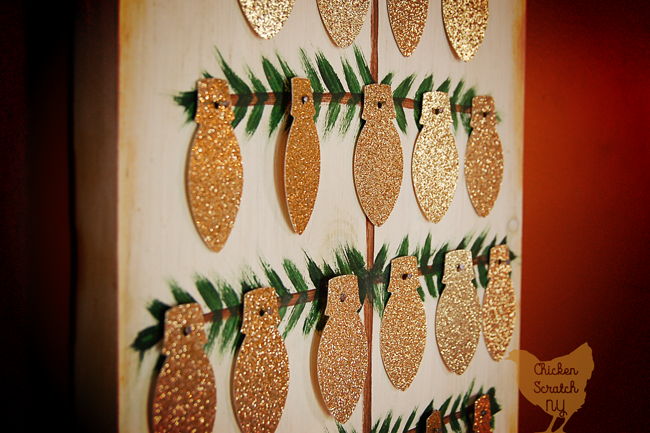 I love this advent calendar! I need a new one, I might have to try and make this one! That is adorable and so creative! What a perfect way to count down! That is awesome that you got it up and running. I love that you stuck with the idea until you made it. This is so cute! I love the simplicity of keeping track of the days and having it be cute too 🙂 My kids are already asking me how many days until Christmas. Something like this would come in handy. Oh my goodness, I totally want to try my hand at making one of those. 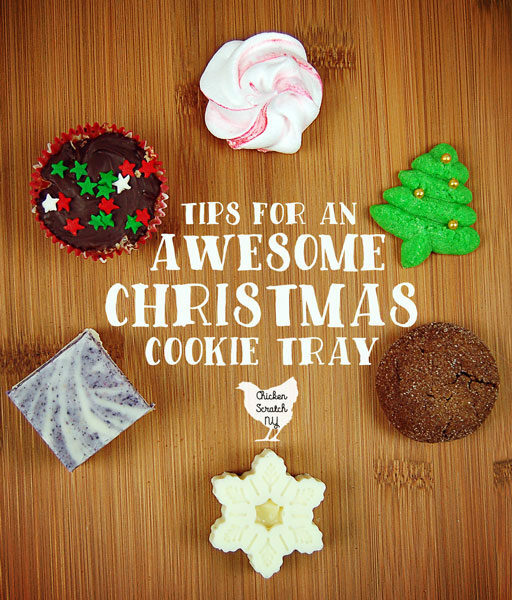 It’s so fun, festive and chic at the same time!